Easy Retired Millionaire is a training platform that provides material and information on how people generate income online with their secret automated-push-button-money-making system. It does sound too good to be true. Is Easy Retired Millionaire a legitimate product or just another scam? Read on to find out. What Is Easy Retired Millionaire About? How Does Easy Retired Millionaire Work? What do you get with 47 dollars accessing to their training program? What Are the Benefits of Easy Retired Millionaire? What Are the Negatives of Easy Retired Millionaire? There are many products run on ClickBank and some of them are over-hyped. One of them is Easy Retired Millionaire. Easy Retired Millionaire offers their secret system that is tailored to teach people to make money online easily in several ways, mainly affiliate marketing, and Get-Paid-To (GPT) websites. The system is designed in a way that automates a lot of things, allowing you to earn with only 12 clicks of your mouse. Their secret system is nothing but just teaching some basics strategies such as earning commissions by taking online surveys, building a list with affiliate marketing, using classified adverts to make commissions and using ClickBank to earn commissions. There is nothing so secretive about their money-making system. 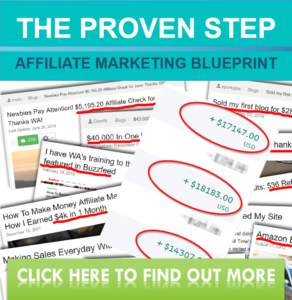 Kathy Graham (I believe she’s the owner of Easy Retired Millionaire) tells about their automated system with already set-up accounts and real-life free traffic sources and promoting campaigns that generate lucrative income effortlessly with just a few clicks. The catch is that they don’t specify what exactly you will be making money from. That simply means you get commissions from selling unknown products through unknown traffic sources. You will be taught how to make pocket money answering surveys with GPT (get-paid-to) sites such as Toluna, iPanel, etc. Survey sites are where you earn a small amount of money upon completion of tasks like watching an ad, doing surveys, etc. The payout is usually not high and you need to put in a lot of time in exchange for little pocket money. The trick is you will need to join more than one GPT site if you want to make money through survey panels because you will not receive more than three survey invites per week from one single source. This is far from the truth because GPT sites and survey sites are known for their low-income potential. You’d be lucky enough to make enough to match the hourly minimum wage in a day! I rather not elaborate on this as this method is pretty shady. The idea behind it is that you are basically listing items for sale – items that don’t belong to you. When people click on the item they will be brought to the site that you are affiliated with, which they need to purchase a membership before proceeding. Membership commission that is where you will be generating the income from. To illustrate, let me give you an example how it works. Let’s just say you post a listing for a laptop, a laptop which you don’t own, in order to send a clueless visitor to an auction site where they end up spending money to become a member. You then get a commission when someone buys a membership through your link. In the training module, you’ll be taught how to submit articles to a site called Squidoo. I know for a fact that this training module is already outdated because Squidoo got bought by HubPages in 2014. Blog commenting, forum commenting, article submission… basically tips that you can easily found on Google. This will cover fundamental training like paid ads, pop-ups, squeeze page on blog etc.. – the only training that seems to provide real value. In this training you will learn a series of list-building method, of which you will be able to find the same free information on the internet. ClickBank is an affiliate network and payment processor that is it free for you to use. The primary business model is the sale of digital information products and software. Information products are mostly downloadable and teach people “how to” do something. This information is made freely on ClickBank itself and you don’t actually need to pay $47 to access their “secret” system. (+) None. There really is nothing good about Easy Retired Millionaire as the system is not a product that is available on ClickBank. (-) There isn’t information upfront on how the system works. Even after you buy in their product, there isn’t any secret method to make money online. The material and training courses that offered by Easy Retired Millionaire can be sourced from the internet at zero cost. (-) There is no way we can identify the owner of Easy Retired Millionaire. The real identity of the owner of the site is not revealed, which is another sign that this opportunity is a scam. A genuine product always shows you how they can solve your problems. A legitimate product or service provider will always invest in trying to showcase their capabilities and how they can help you. (-) If you come across a program like Easy Retired Millionaire that over-promises that you can make a lot of cash within a week or a month by using their secret programs. Ignore them and move on. A real scheme has a real business plan, a strategy, and a solid plan. Easy Retired Millionaire is a scam that sells lie and empty promises. Read “How Can I Make Money Online Without Being Scammed” if you want to stay safe and make money without being scammed online.